Dubai will be welcoming thousands of trade-only visitors, delegates and F&B experts to Gulfood & the Halal World Food event on 8th February 2015 for 5 days. Gulfood 2015 takes place from 8th – 12th February in the Dubai World Trade Centre. Apart from attracting over 80,000 international food industry professionals, every conceivable Halal product will make its way to the displays including energy drinks, vegan and vegetarian foods, meat and poultry as well as canned goods. 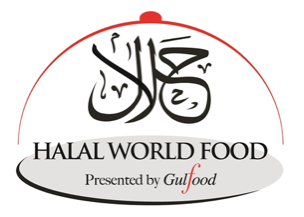 Halal gourmet and fine produce will be standing proud at the second annual Halal World Food. According to a study by Global Futures & Foresights, the global Halal market is predicted to reach USD 10 trillion by 2030. There is therefore huge growth potential across the globe. Industry experts are gathering together to discuss not only business opportunities but the implementation of the far-reaching standardisation and certification frameworks without which the Halal F&B industry may find itself in muddy waters. The 20th Gulfood event has established itself as the world’s largest annual food and hospitality show. This is a trade-only show and those interested can register here. Research is an integral part of the F&B industry – related trends in the F&B industry can be researched and reported. If you require this type of service please contact us at any time.